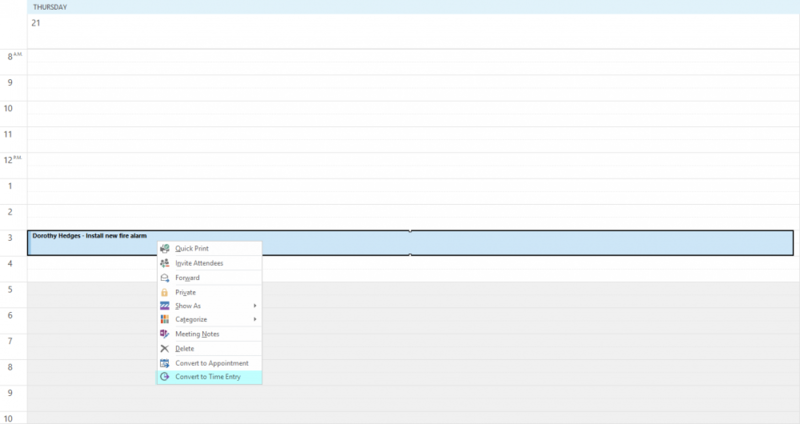 Make scheduling easier with full visibility of appointments through Outlook integration. Once the integration is set up, the TimeTrak Outlook Add-in sends tasks and updates between the two applications allowing emails to be saved as tasks - enabling you to spend more time with the real work. Synchronise TimeTrak appointments and tasks with Outlook, convert calendar entries to TimeTrak entries, convert email contacts to contacts, and perform TimeTrak and TaskTrak functions within Outlook - all with the click of a button. TaskTrak Outlook Add-in removes frustrations of scheduling by giving you full visibility of your team's whereabouts in a system that you are consistently in and know well. Simplify how you work, with TimeTrak Outlook Add-in. Smarter scheduling that saves time and reduces the amount of work necessary through platform integration. Get full integration to the TimeTrak Suite - including Professional, Mobile, TaskTrak, Outlook Add-in, Knowledge Base, and Customer Portal. Service Coordinators have full visibility of job and client information, staff calendars, and the ability to schedule jobs with ease.